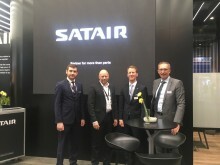 At the Satair booth at Aircraft Interiors in Hamburg, the Bucher Group and Satair signed an agreement for the supply of Galley spare parts, thereby sealing the first collaborative agreement between the two companies. Japan Airlines (JAL) has signed a multi-year IMS contract with Airbus subsidiary Satair for a long- term, fully-integrated end-to-end supply chain package covering expendable material for the airline’s new fleet of Airbus A350s. In a few years Satair’s Used Serviceable Materials (USM) has grown from an initial entry through parting out to a multi-channel operation. 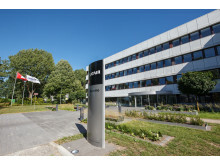 Read about the new strategic focus to become the USM market leader. How can corporate values unite us in a global company? 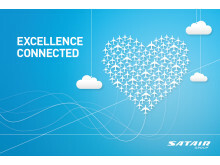 Read how employees of Satair live the values across departments and regions. 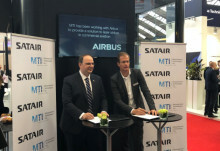 Lufthansa Technik (LHT) Sofia, Bulgaria, has signed a multi-year agreement with Satair for Airbus Managed Inventory (AMI) services. A ground-breaking deal announced at MRO Europe exhibition last October, saw Satair sign an exclusive, multi-year global distribution agreement with Metamaterial Technologies Inc. (MTI) and its optical filters division Lamda Guard of Halifax, Nova Scotia, Canada to bring MTI’s metaAIR® laser glare protection eyewear and visors to all aviation and military markets. You know what's nice? 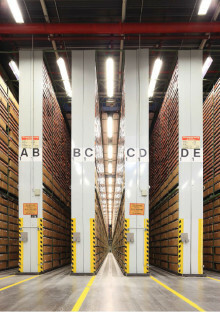 Your frequently consumed inventory of non-repairable parts replenished at your facility - automatically. Get to know Satair's Airbus managed Inventory service (AMI). 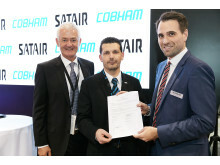 Abu Dhabi, United Arab Emirates: Etihad Airways Engineering, the largest commercial aircraft maintenance, repair and overhaul (MRO) services provider in the Middle East, has signed a Memorandum of Understanding (MoU) with Satair, one of the world’s largest aviation spares and solution providers at MRO Middle East 2019 in Dubai. 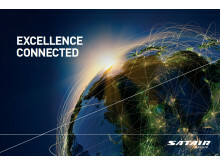 ​Satair and Honeywell Aerospace have signed an agreement to distribute Honeywell’s JetWave™ high-speed in-flight connectivity system to a wide segment of the global business jet market. Today at MRO Middle East, Satair, a service and distribution leader in the commercial aerospace aftermarket and Joramco, a leading independent commercial aircraft maintenance, repair and overhaul company, signed an agreement covering the supply of consumables and expendables –supporting both Boeing and Airbus aircraft. GMF AeroAsia and Satair have signed a Letter of Intent (LOI) confirming Satair as the exclusive provider of material to support GMF AeroAsia’s successful expansion into their Airbus Aircraft 3rd party maintenance. Satair and Senior Metal Bellows, signed a new distribution agreement, which is an extension to an existing agreement signed in 2017. The new agreement covers the aftermarket for Europe and Asia and all commercial aerospace aftermarket products of Senior Metal Bellows, including compressors, bellows, thermal valves, accumulators, feedthroughs and much more. 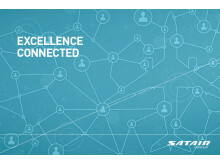 ​Satair and Regent Aerospace Corporation signed at the MRO Asia-Pacific in Singapore a multi-year, global, co-operative agreement for the MRO solution and supply of aircraft cabin repairs, refurbishment, modifications, reconfigurations and upgrades and refurbishments for Satair’s integrated approach to offer additional MRO services and solutions for airlines, lessors and MROs worldwide. GAMECO (Guangzhou Aircraft Maintenance Engineering Co., Ltd.) today signed an extension with Satair to its long-term agreement for the Airbus Managed Inventory service. Today’s agreement extends the contract scope to include further frequently-moving expendable parts underlining the flexibility inherent in the AMI service offering. 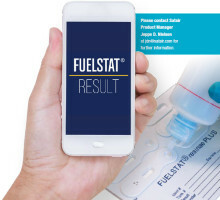 What if you could test Microbiological contamination of your fuel with a 10 minute test and an app for your phone? You can! Get to know Conidia Bioscience and their revolutionary product. In a Q&A, Christian Agger, Head of Digital and Business Transformation, shares his thoughts on his vision to make Satair a digital world leader in the aviation aftermarket. 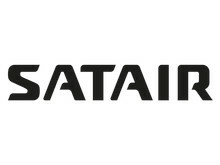 In February 2018 at the Singapore Air Show, Satair Group announced an adapted name change – to Satair – along with a new logo and brand identity. The products covered are eyewear and visors and are applicable to the full range of pilots – commercial, military fixed wing and rotary, and covering a multitude of operations such as commercial and business aviation, military, search and rescue, police and medevac. The technology is superior to other products currently on the market.